Dr. Campbell graduated from Cornell College of Veterinary Medicine in 1984. She began her career as an associate veterinarian before founding Cornerstone Veterinary Clinic in 1998. She enjoys treating dogs and cats, as well as less-traditional pets like birds, reptiles, rabbits, and other small mammals. Dr. Campbell has two Boston Terriers, a tortoise and a parrotlet. In her spare time, she enjoys cooking, gardening, spending time with family, and collecting antiques. Originally from Hunt Valley, Maryland, Dr. McCausland earned his Bachelor's degree in biology from Washington College in Maryland, then went on to complete a Master's degree in cellular and molecular biology from Towson University. In 2005, Dr. McCausland graduated with honors from the University College Dublin Faculty of Veterinary Medicine. While studying at UCD, he conducted research on bone plating techniques. He then presented his research at the British Small Animal Veterinary Association Conference in 2004. In 2012 Dr. McCausland received the Regional Merit Award from the Western New York Veterinary Medical Association. 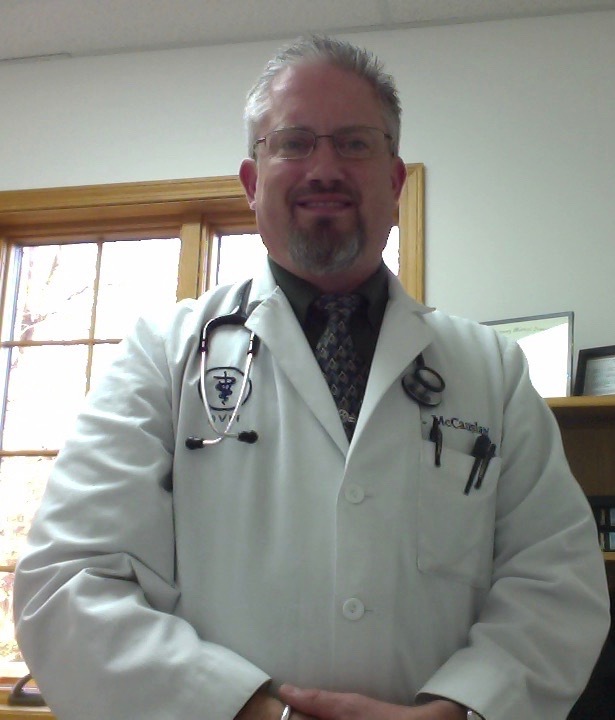 Dr. McCausland currently lives in Lockport with his girlfriend Kyla and their four dogs and five cats.